I hope everyone had a great time at this years Open House. Click here for photos of the event. 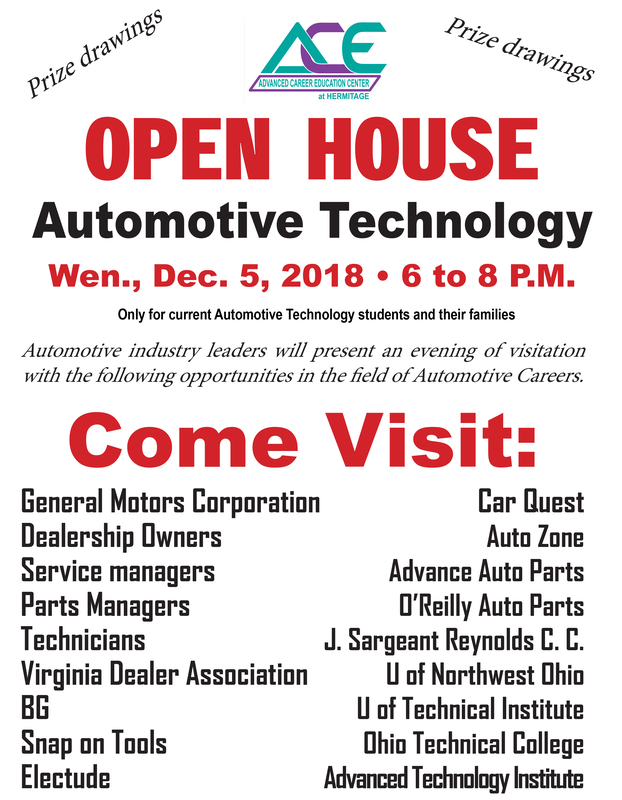 The Automotive Technology Class is having an open house on December 5th from 6pm till 8pm for students already in the automotive program and their families. Please click here to download the flyer. Next Post Get ready for the Digital Arcade!